It is fitting that I finally begin to write my review of the two Nightwish shows I attended on the day that Nightwish will have a massive production of their show in Joensuu, Finland. 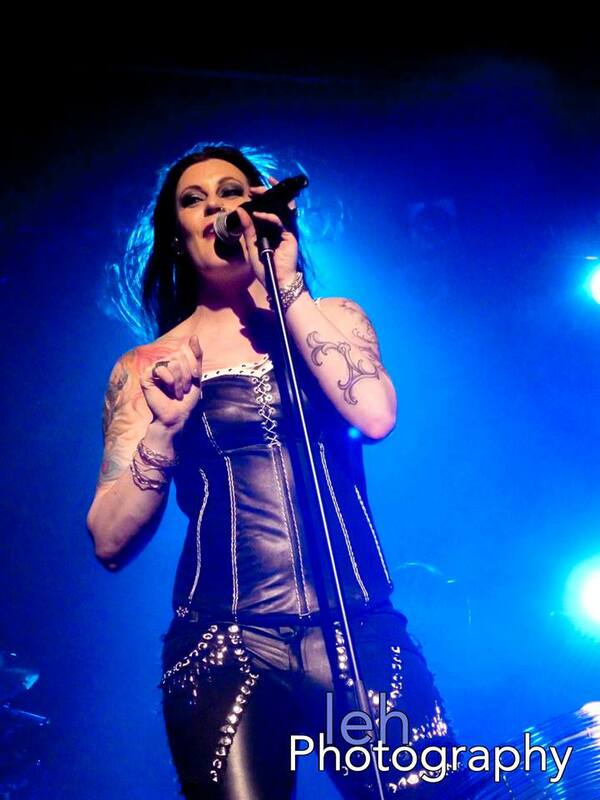 Nightwish is known for their large production shows on the same level as Dutch band Within Temptation. When the venue allows it, there is a ton of pyro, large movie screens, and other spectacles on stage that simply add to the grandeur of the entire performance. While that is all fantastic, when Nightwish tours the United States, they do not bring with them pyro and large screens. While some fans may be disappointed in a small production, many fans find the intimate and stripped down version of their shows much more enjoyable. I for one, am one of those people. Nightwish is big enough in Europe now to headline the Wembley Arena in London, which can hold 12,500 people. But, here in the United States we get to see them in venues that can only hold a maximum of 3,000 people. I attended a show at the beginning of the tour in Philadelphia, PA at the Electric Factory, and the final show of this leg of the “Endless Forms Most Beautiful” tour in Silver Springs, MD. I also participated in the Nightwish VIP for both shows. Aside from being a big fan of Nightwish and obviously there to see them headline, I am also a longtime fan of Delain. I had seen them as a support act on some previous tours, but it was a thrill for me to see them open for Nightwish. Just as good of a combination as fans in Europe having the chance to watch Delain open for Within Temptation, and in some ways, an even better combination. Any fan of Delain is aware of the fact that they have many songs with Nightwish vocalist and bass player Marco Hietala. When the line-up was first announced, I was super excited by the prospect of possibly seeing Marco perform live with Delain. A treat normally reserved for shows in Europe (and Latin America). Sabaton was announced later as an opening act. I am not a previous fan of theirs, so my review of their show will be focused more on how I felt about that specific set. The setlists for Delain in both Philadelphia and Silver Spring were mostly the same. The only difference was that in Philadelphia they played “April Rain” and in Silver Spring, my Delain dream was fulfilled and Marco joined them on stage for “Sing To Me” off of their latest release The Human Contradiction. To add to that, being the final show of the tour, Marco came on stage with only some boxers and a top hat. It was quite entertaining. Delain’s sets were short, but sweet. Charlotte moved around the stage as she sang songs like “Army of Dolls” and “Get The Devil Out of Me.” I always look forward to their return to the United States (which they will be doing once again with Nightwish in 2016). Next-up was Sabaton. My section on them will be a bit shorter, mostly due to my unfamiliarity with their music. Their set was much longer, at about 40 minutes. Although I am not familiar with their songs, they still put on a fun live show and certainly know how to get the crowd going. They do deserve to return and headline at this point, as much of the crowd was certainly there for them as well. Finally, there was Nightwish. They opened both shows with “Shudder Before the Beautiful,” which is a perfect show opener. The energy was there right away. However, this will be my first con from the Silver Spring show. The crowd surfing and intense moshing began almost immediately. While I personally have no issue with some moshing, this was so tight I had trouble staying standing against the barrier. The crowd surfing quickly took away from me being able to enjoy the first couple of songs. I enjoyed the Philadelphia show much more in that sense. In the five Nightwish shows I have gone to, that was the first time I dealt with that. Personally, I hope it does not become a trend at all Nightwish shows in the United States. The setlist for each show was fantastic. During both shows they played many new songs, including “Shudder Before the Beautiful,” “Yours Is An Empty Hope,” “Weak Fantasy,” and “My Walden.” In Philadelphia they played “Endless Forms Most Beautiful,” while in Silver Spring we heard “Alpenglow.” The absolute highlight of the new songs was “The Greatest Show on Earth.” Even though they only played about 12 minutes out of the 25 minutes for that song, it was incredibly epic and made to be experienced live. As for the older songs played, the setlist mainly consisted of its usual contenders such as “Amaranth,” and “Storytime.” Some nice additions from the 2012 tour included “She Is My Sin,” “Dark Chest of Wonders,” and “Nemo.” Marco performed the first half of the song “The Islander” solo before being joined by the rest of the band near the end. The highlight of the older songs was most certainly the return of the Oceanborn song “Stargazers,” which had never been played live in the United States. We were also treated to the beautiful and iconic Nightwish ballad “Sleeping Sun.” The magnum opus of the entire show was “Ghost Love Score.” This song is a personal favorite of mine in many ways. I had been hoping to hear this one live for a very long time, so it was a very emotional and incredible performance for me to watch. The show itself was beautiful. The stage was nicely decorated with accommodations made to change the background of the stage through different songs, which worked nicely, as they did not arrive with any screens. The set-up was nice and there was plenty of room for the band to move around. 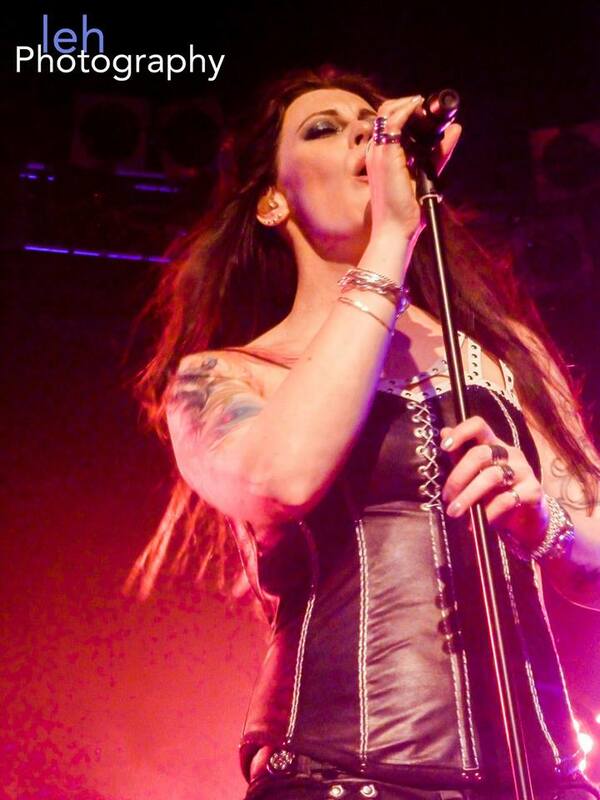 I do have to take a moment to mention how amazing Floor Jansen is. I have had the pleasure of seeing her sing with ReVamp (which was beyond phenomenal), so my expectations were very high and she certainly lived-up to those. She sang the new songs flawlessly, and delivered the old songs so well that I could not think of one complaint about their delivery, particularly songs like “Nemo,” “Stargazers,” and of course “Ghost Love Score.” If Nightwish was waiting for a true revival, they just found it. To conclude my review, I will end with this sentiment. I never thought of Nightwish as a top live act. While I had seen them a few times between 2008 and 2012, their shows never left me in the sort of awe that bands like Within Temptation or Halestorm did. However, after the two shows I had the honor of attending for the 2015 leg of the Endless Forms Most Beautiful Tour that has changed. Nightwish has finally found its niche in live performing. 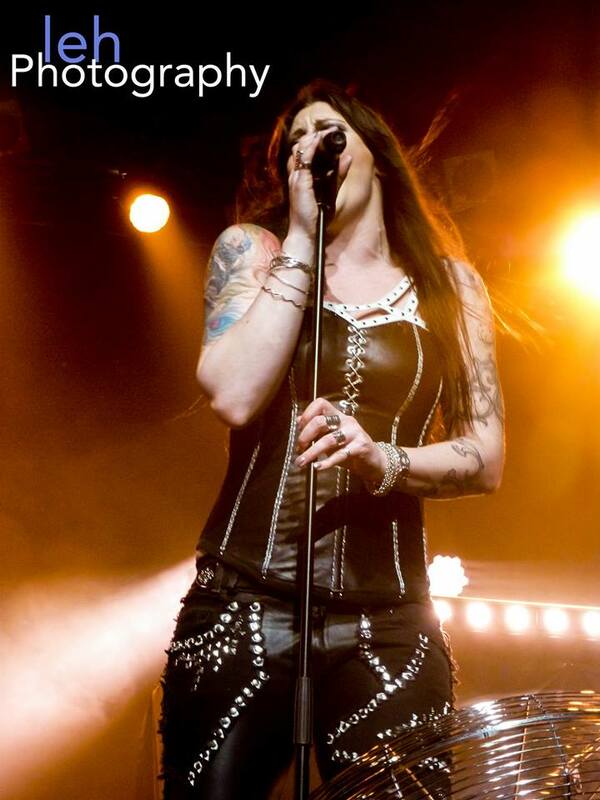 With Floor Jansen at the helm their entire dynamic and stage presence changed, and for the better. If you are someone on the edge about going to a show, I highly recommend going. You will not regret. I know I certainly look forward to seeing them perform again in 2016.